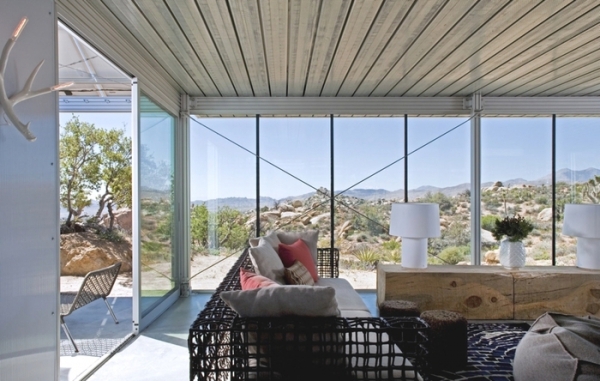 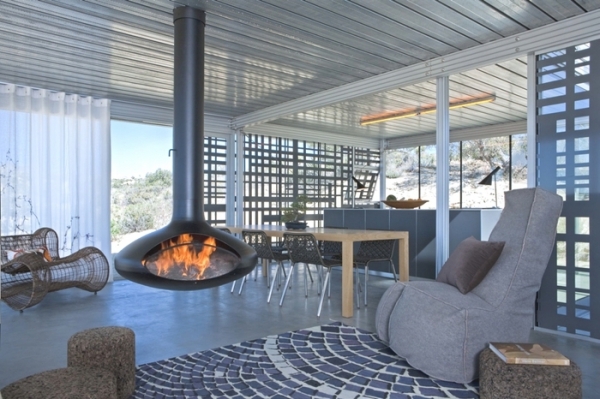 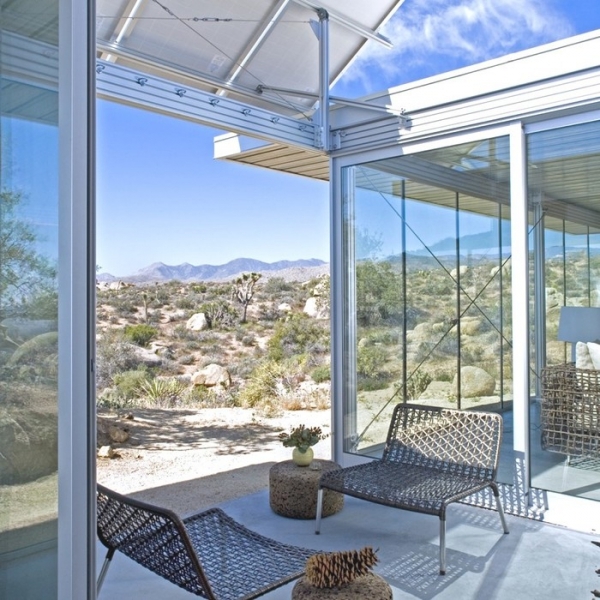 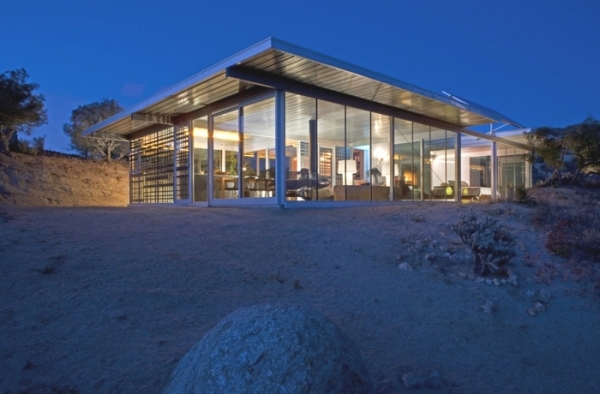 Rocky and arid landscapes weave into a tapestry of line, steel and glass in this unique residential project in Pioneertown, California. 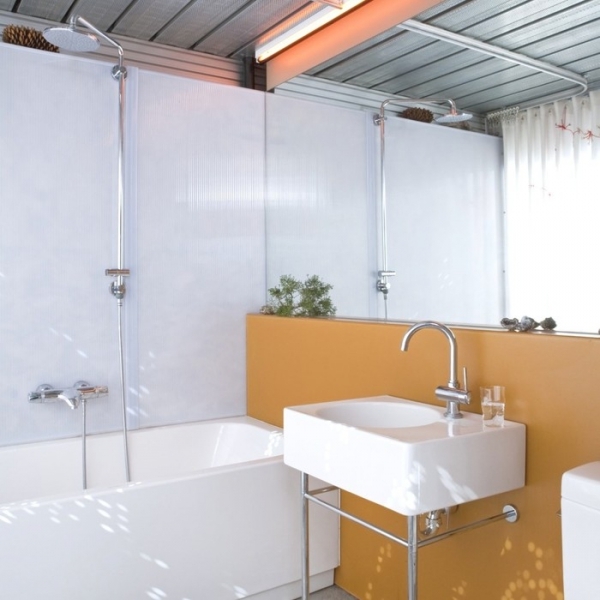 Bringing an abruptness of context and climate into the core experience of the space, this two bedroom unit-The It House designed by Taalman Koch– reinterprets the glass house to anchor it in new surroundings and sensibilities. 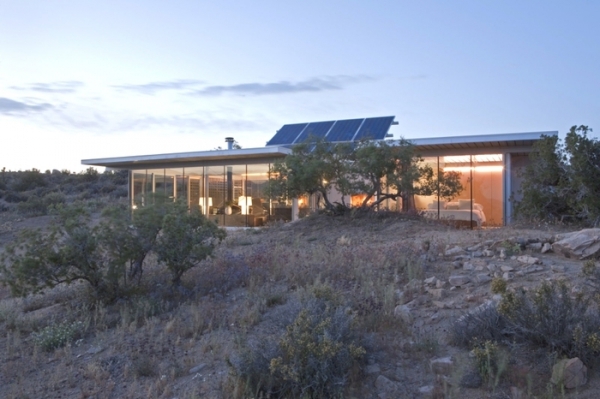 Conceived to thrive completely off the grid, this airy house adopts an aesthetic of minimalism, creating not just stunning living spaces but also modest energy footprints. 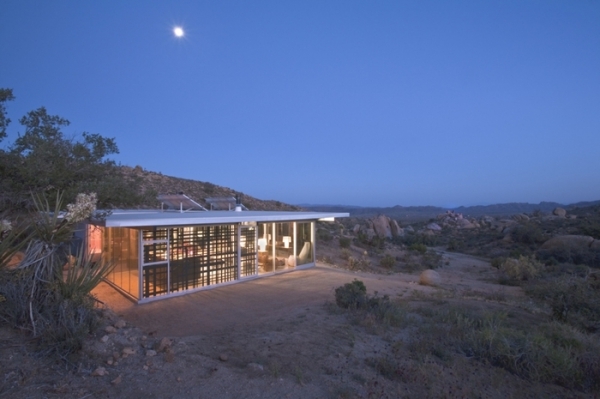 Responding to the design brief as well as the harsh, isolated conditions of the site, the house was largely prefabricated off-site to minimize labor and waste; this also allowed a higher control on the quality of the final product. 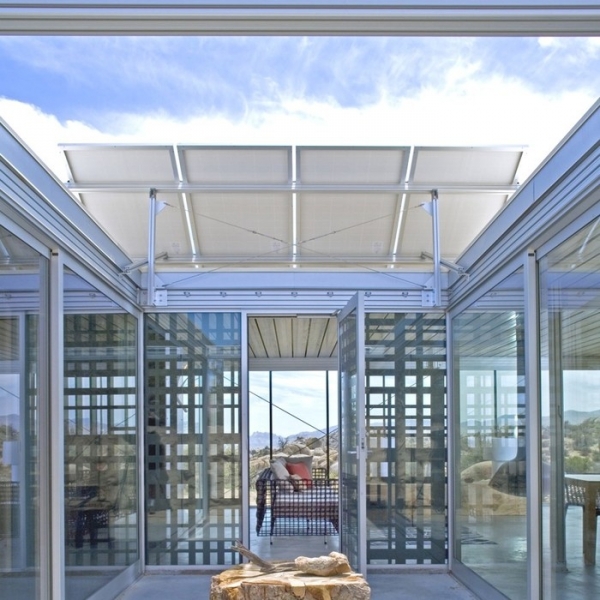 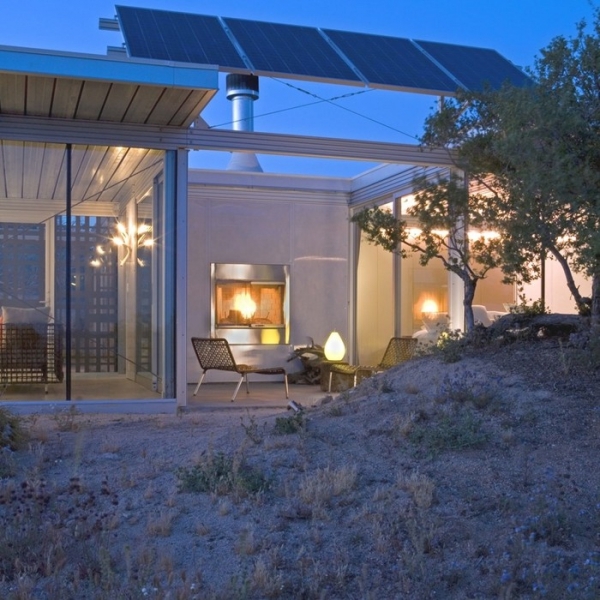 The building is oriented to maximize on passive heating and cooling through ample cross-ventilation and natural incident radiation; these along with the use of energy efficient technology, solar voltaic and thermal panels, and radiant floor heating help create a self-sustaining unit that sits in utter harmony with its natural setting. 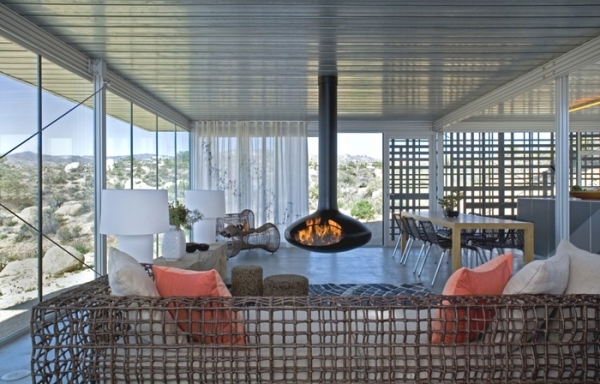 Open planning and simplicity of detail define the organically inspired aesthetic of this airy house. 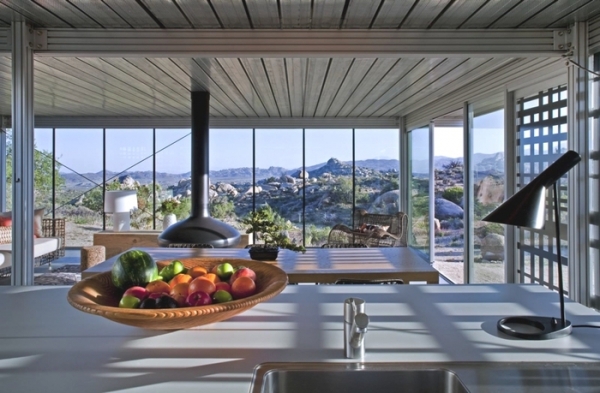 Glass panels interlace a series of closed and semi-open spaces that lie and transition in a gentle continuity. 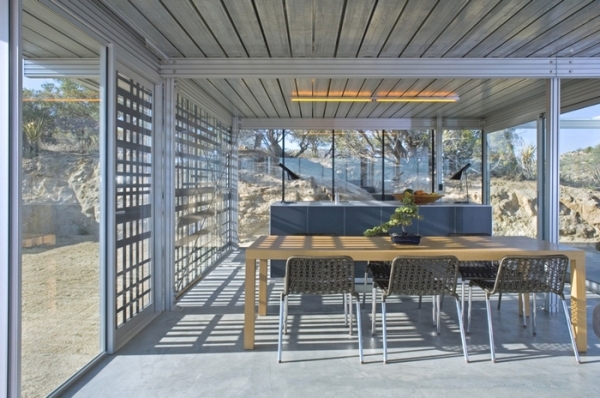 These spaces are articulated into compact functional units that are liberated by the endless expanse that surrounds them. 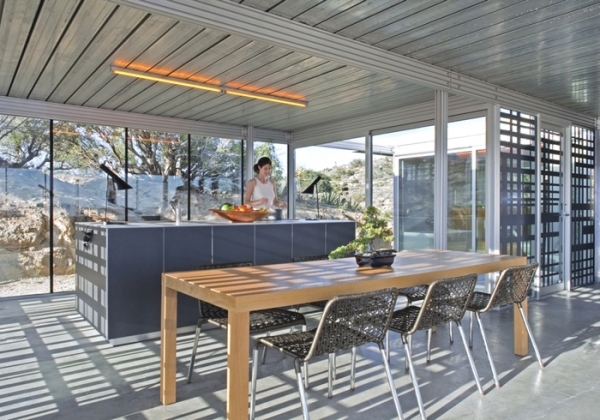 A graphic interplay of line and shadow by artists Sarah Morris and Liam Gillick plays out on a few glazed panels, creating privacy, shade and frames with creative ease.